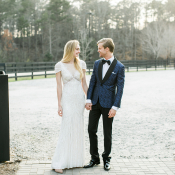 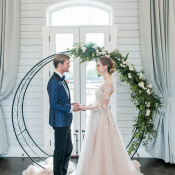 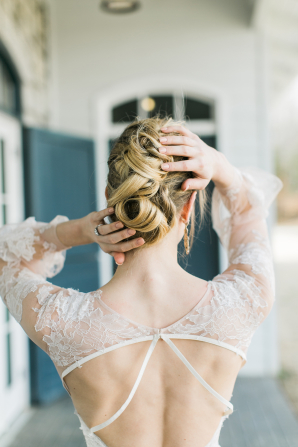 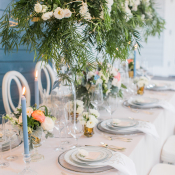 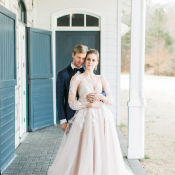 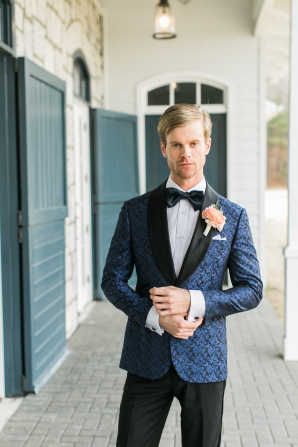 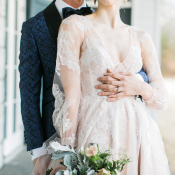 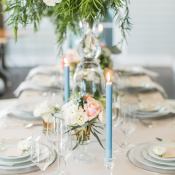 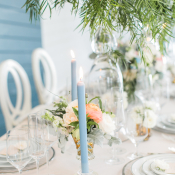 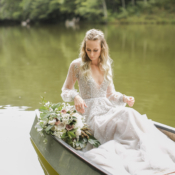 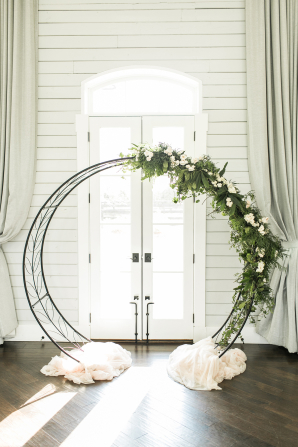 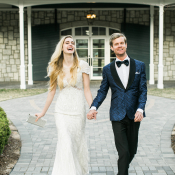 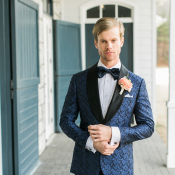 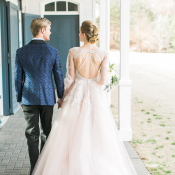 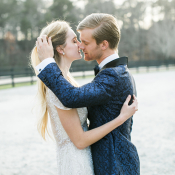 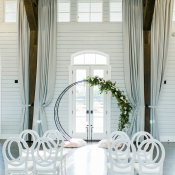 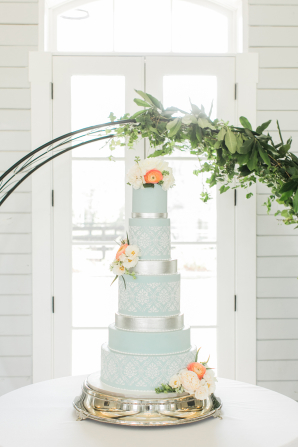 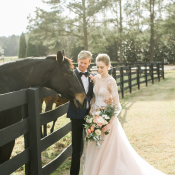 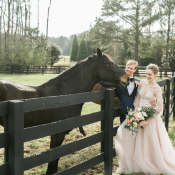 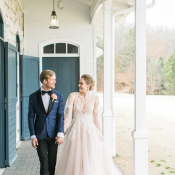 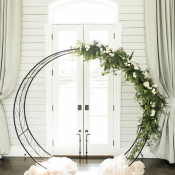 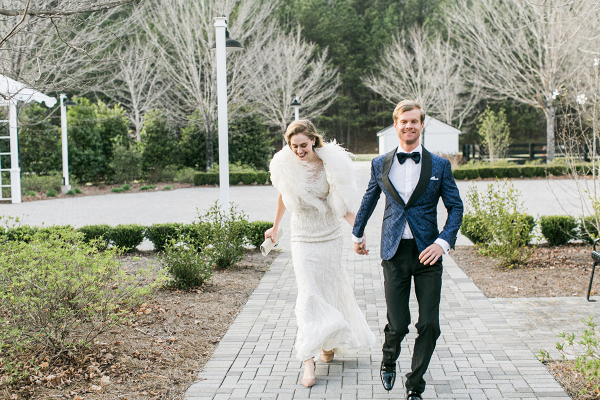 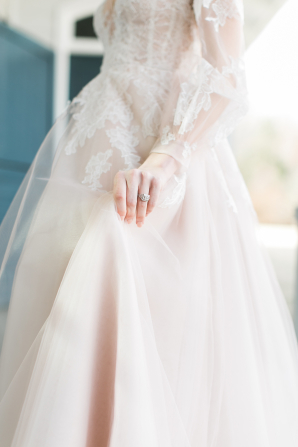 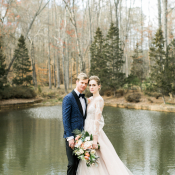 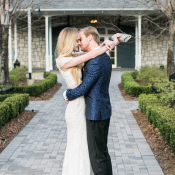 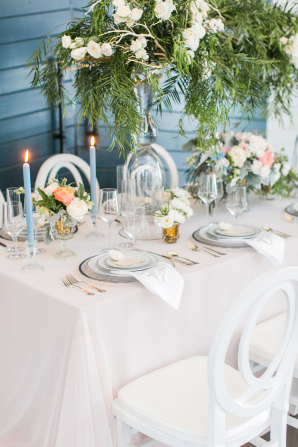 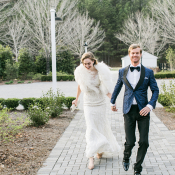 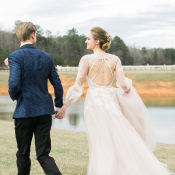 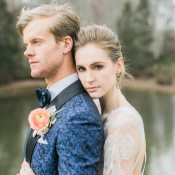 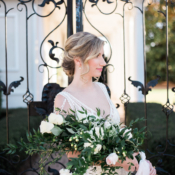 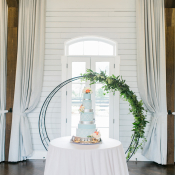 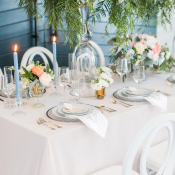 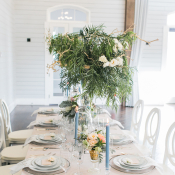 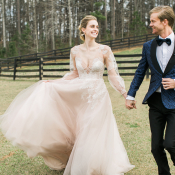 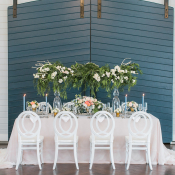 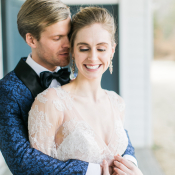 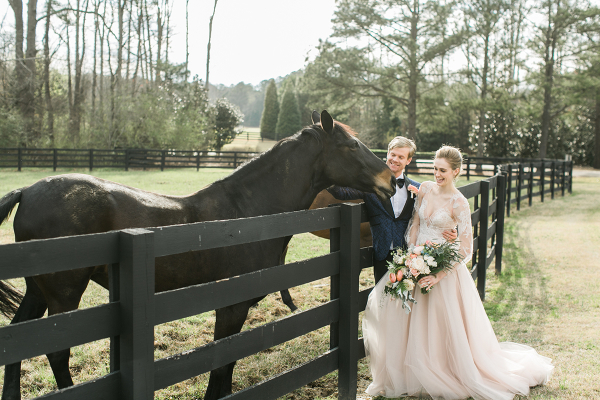 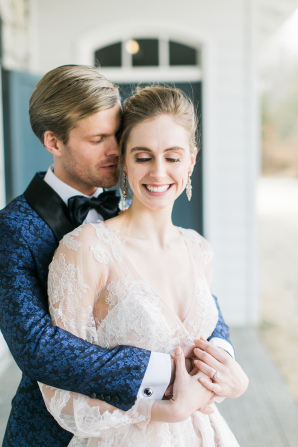 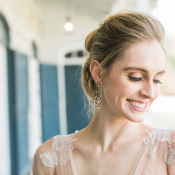 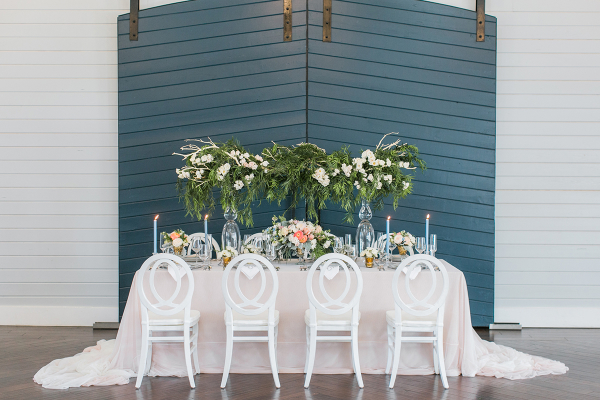 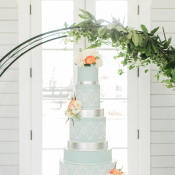 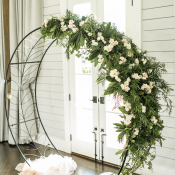 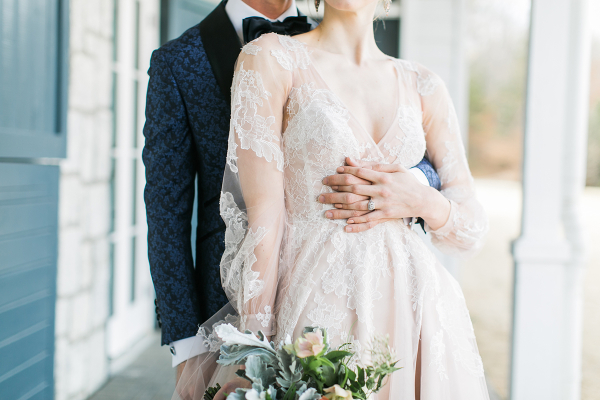 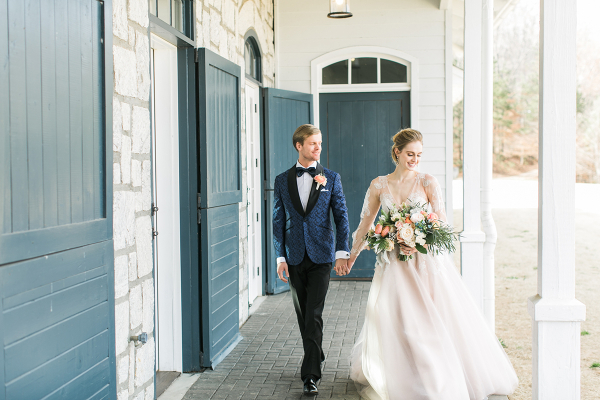 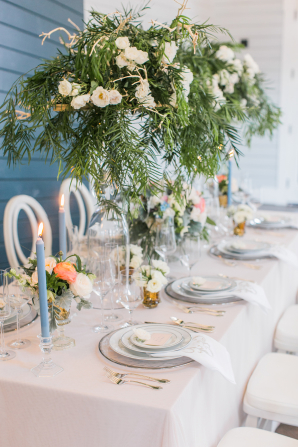 Nestled approximately 30 minutes, but a world away, from downtown Atlanta is Foxhall Resort, and the tranquil setting provided a perfect backdrop for this classic and romantic inspiration shoot designed by Evermore Weddings & Events. 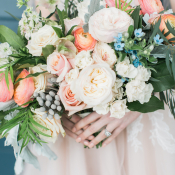 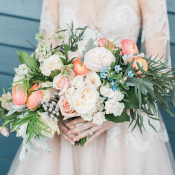 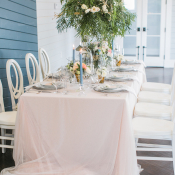 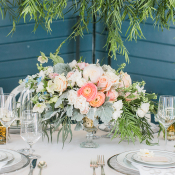 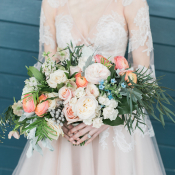 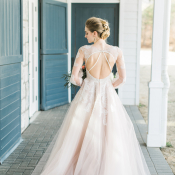 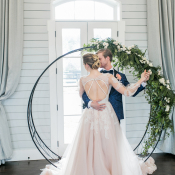 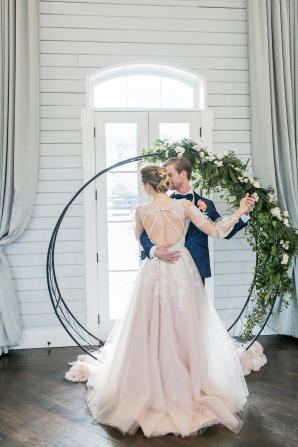 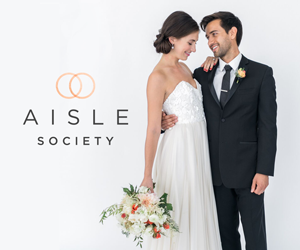 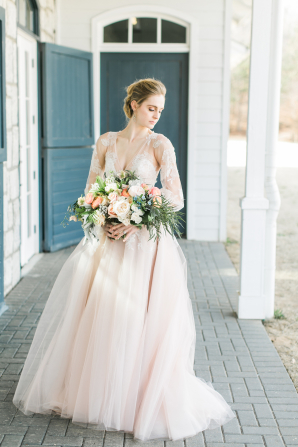 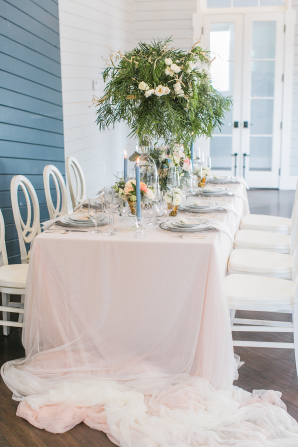 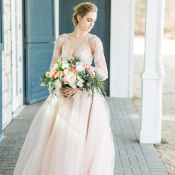 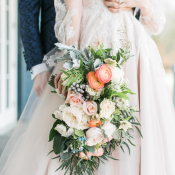 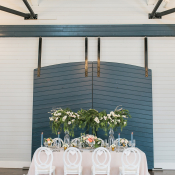 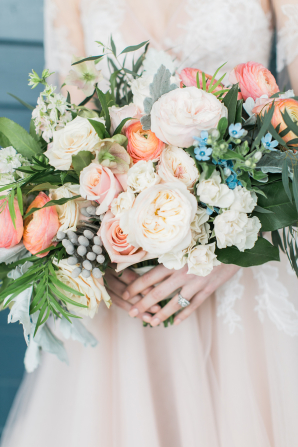 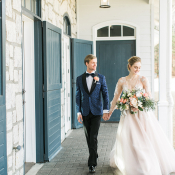 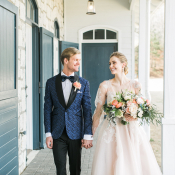 A palette of slate blue, blush, peach, and green created a soft but elegant ambiance, and a blush Hayley Paige gown stole the show! 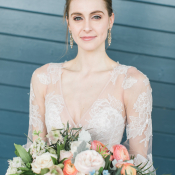 Hacman Floral created a showstopping pastel bouquet to accompany the bridal look, which featured soft, modern hair and makeup from Elizabeth Sloan Beauty. 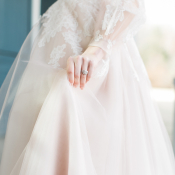 The result is an absolute fairy tale! 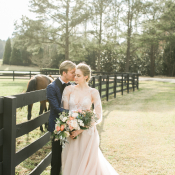 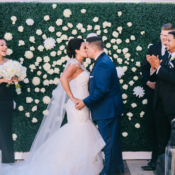 Beautiful details such as a rounded ceremony altar, elevated greenery centerpiece, and a custom peach cocktail by Lyght House Cocktails complete the scene. 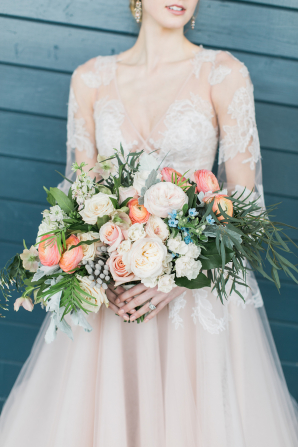 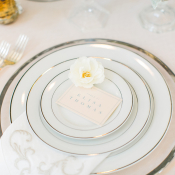 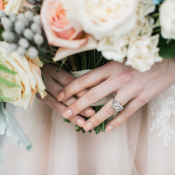 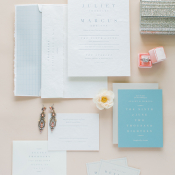 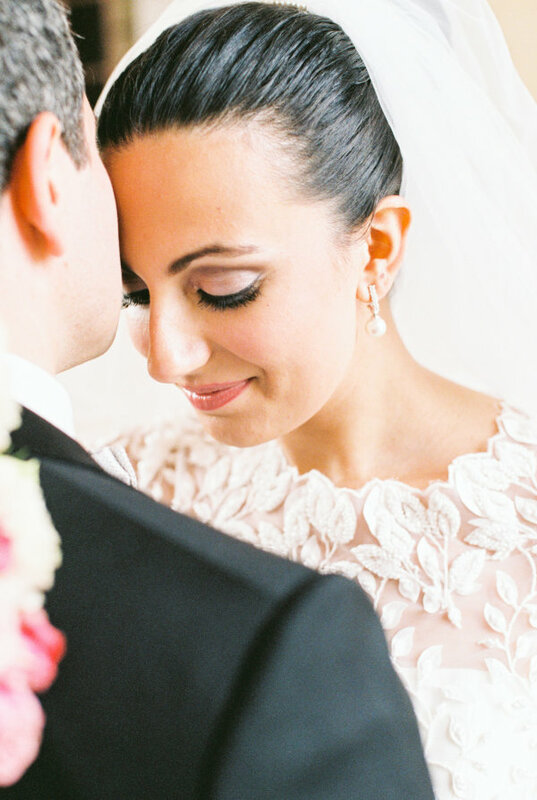 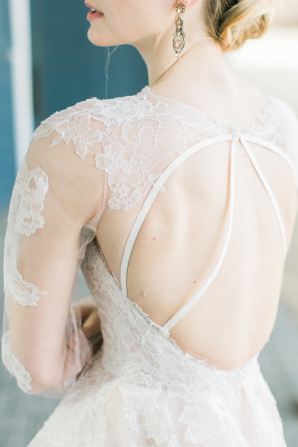 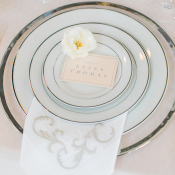 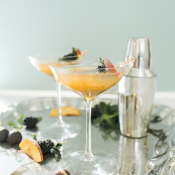 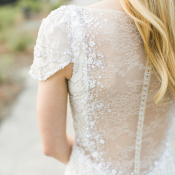 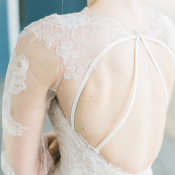 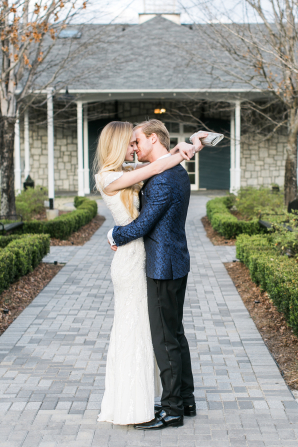 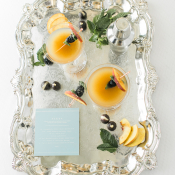 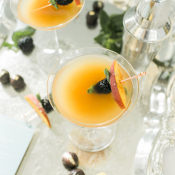 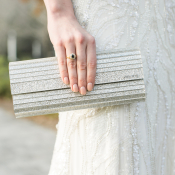 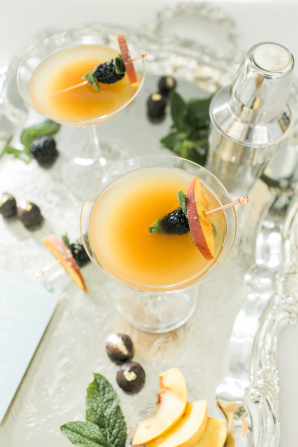 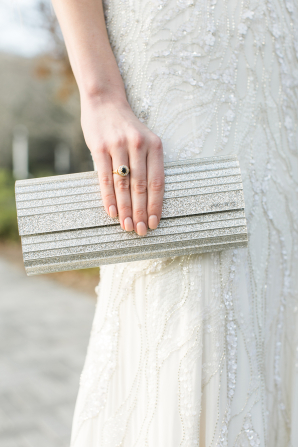 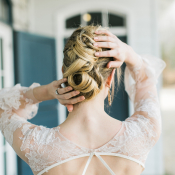 We are completely spellbound, as always, by the images from the incredibly talented Brandi of Alexis June Weddings!